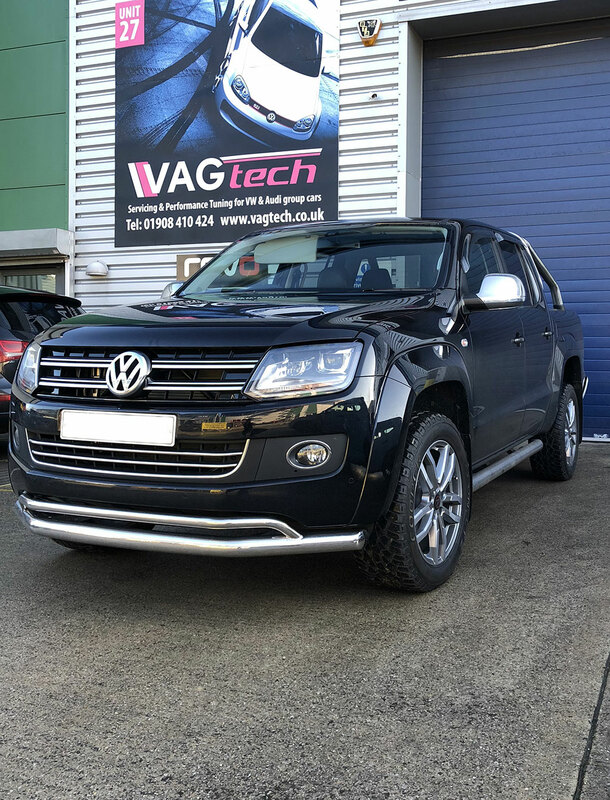 A very nice low mileage example of the VW Amarok 2.0L Bi-Turbo TDI. 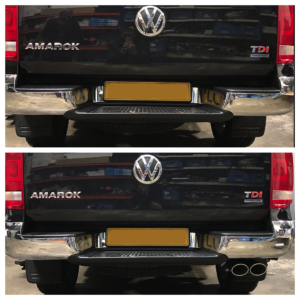 We fitted a cat back Milltek exhaust with the tail pipe option, you can see the before and after in the picture. We also installed Revo stage 1 software boosting the performance to 208ps and another 45Nm of torque. The stage 1 is much sharper and more responsive throughout the rev-range feeling as though its been on a strict weight loss diet. Power delivery is smooth and progressive giving a factory feel but with the performance that was lacking as standard, Drivability is massively improved and in normal driving conditions the fuel economy improvements are a more than welcomed by-product.